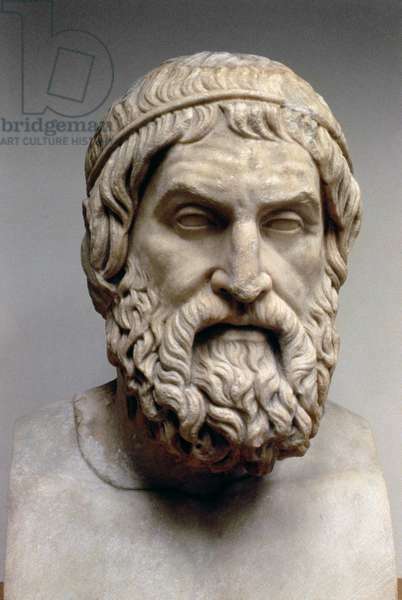 That’s a sculpture of Sophocles. It’s over two thousand five hundred years old. Just look at it. He looks like he’s speaking in mid-sentence… from 2,500 years ago. That this representation of realness and life has survived 25 centuries in such wonderful condition just blows my mind. It’s quite possible that someone’s great-great-great-great-great-great-great-great-great-great-great-great-great-great-great-great-great-great-great-great-great-great-great-great-great-great-great-great-great-great-great-great-great-great-great-great-great-great-great-great-great-great-great-great-great-great-great-great-great-great-great-great-great-great-great-great-great-great-great-great-great-great-great-great-great-great-great-great-great-great-great-great-great-great-great-great-great-great-great-great-great-great-great-great-great-great-great-great-great-great-great-great-great-great-great-great-great-great-great-great-grandfather made that. That’s 100 greats (based on each parent having the child when they are 25 years old).